At South West Containers we always stock, Used 20ft GP shipping containers at the best possible prices. We carry a range of different grades A, B & C, all priced accordingly. For a description of each grade please click here. These units are more commonly known as a 20ft"GP" or "General Purpose" container. The 20ft GP's are standard height (8'6") and standard width (8'0"). A 20ft GP is the perfect secure storage solution and are quite easily transported using a Tilt Tray or Crane Truck depending on your location & requirements. For an estimate or quote on transport cost, please visit our Delivery Quote page. 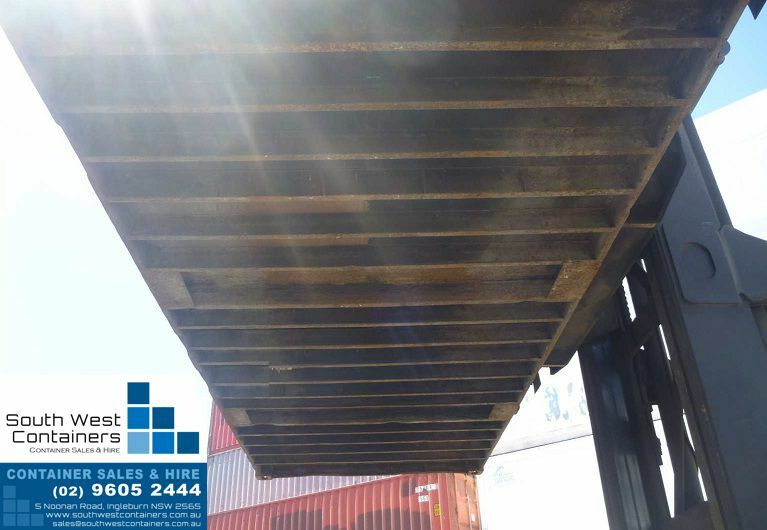 If a Used 20ft GP Shipping Container is what you are looking for or if you have any other questions, please don't hesitate to give us a call on (02) 9605 2444 or simply by clicking on the "Get A Quote" button below. Please feel free to browse through the photos below; there are examples of each different Grade we have available.